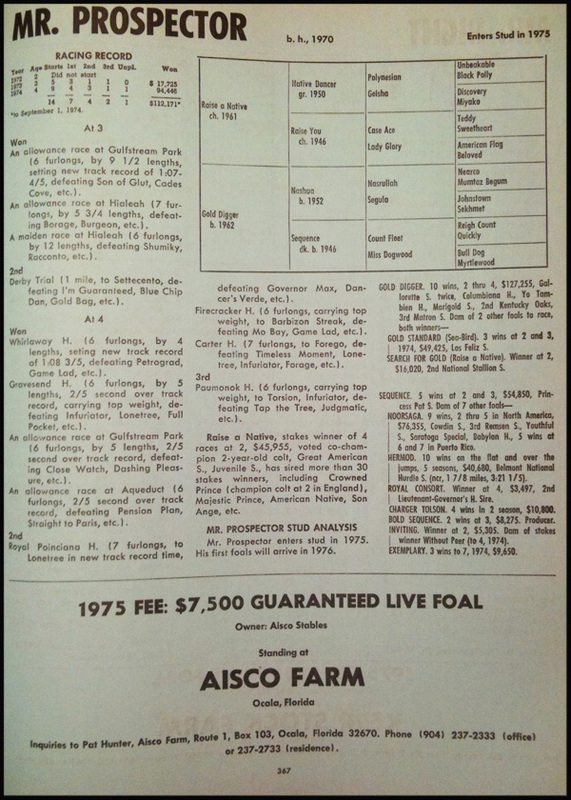 Standing for a mere $7,500 fee in 1975, Mr. Prospector sired 28 foals in his initial crop that included 1978 Champion 2-Year-Old Filly It's In the Air. 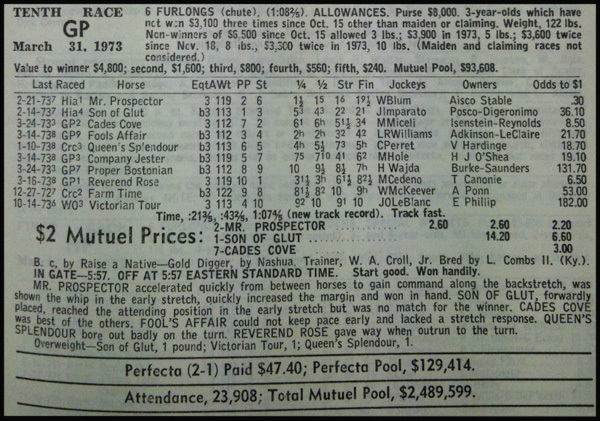 By 1981, Mr. Prospector's continued success had brought him to Claiborne Farm in Kentucky. Here he developed into one of the breed's great sires, siring 181 stakes winners from 1,178 foals (15.4%), 48 gr. I winners, and 16 champions. 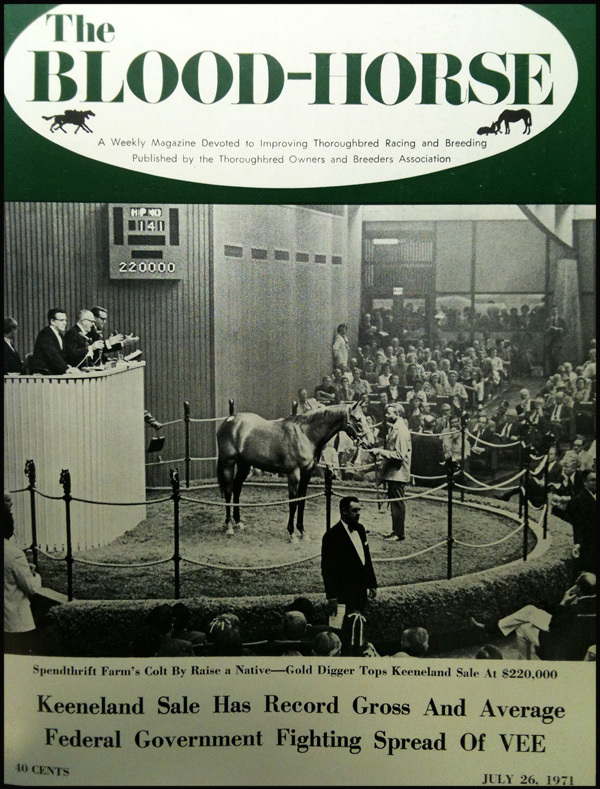 Mr. Prospector also ranks as one the great all time broodmare sires, accounting for over 370 stakes winners to date. Mr. Prospector sired several exceptional stallion sons, including Fappiano, Forty Niner, Gone West, Gulch, Kingmambo (TrueNicks,SRO), Machiavellian, Seeking the Gold, Smart Strike (TrueNicks,SRO), and Woodman. Other sons currently at stud include Dance to Destiny (TrueNicks,SRO), E Dubai (TrueNicks), Fusaichi Pegasus (TrueNicks,SRO), Kayrawan (TrueNicks,SRO), Kitalpha (TrueNicks,SRO), Not For Love (TrueNicks,SRO), and Porto Foricos (TrueNicks,SRO).